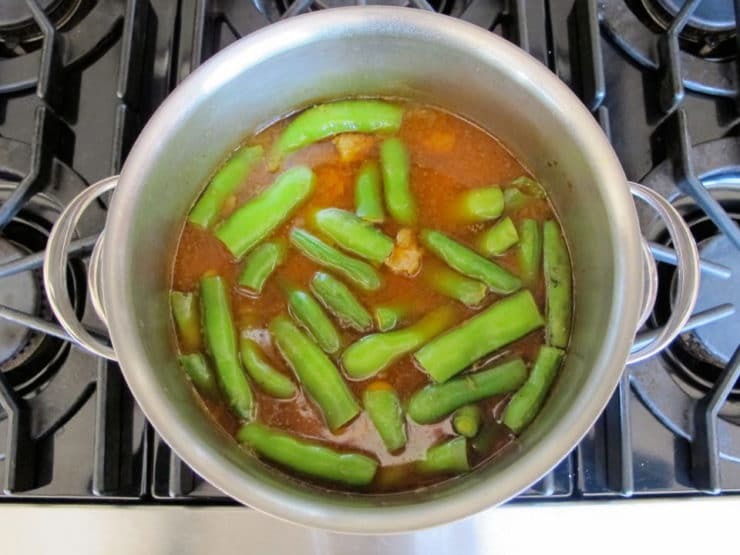 When my husband was growing up in Israel, his mom often made a simple stew with meat and fresh fava beans. 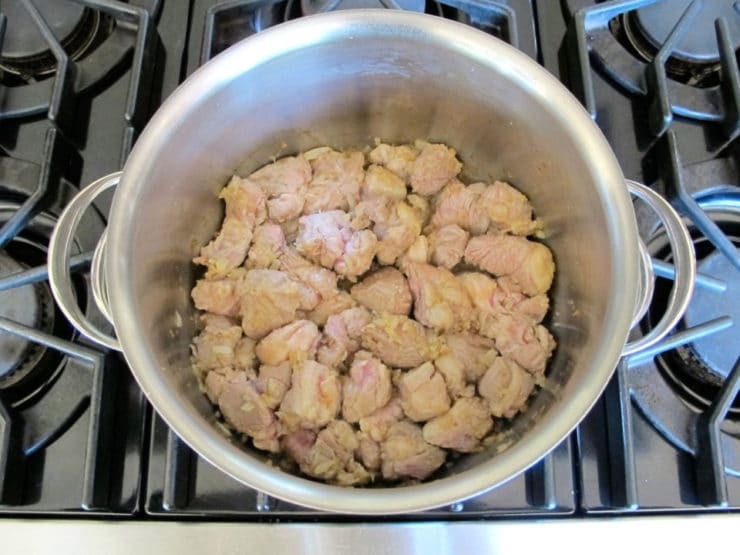 It only had a few ingredients– onions, garlic, beef, fava beans, chicken powder (consomme), salt and pepper. I learned the recipe from his sister and started making it each year when fava beans came into season. Over time I put my own twist on the dish. I replaced the beef with tender lamb stew meat, used chicken broth instead of chicken powder, and threw in some of my favorite spices. The lamb added tons of flavor to the stew, and it quickly became a family favorite. We call my version of the dish Lamb and Fava Beans. Fava beans are one of the oldest domesticated food legumes. References to fava beans occur in both the Talmud and the Mishna, indicating they have been part of the Middle Eastern diet since at least the 4th century. Fava beans were likely one of the main protein sources for the ancient Israelites, who ate a largely vegetarian diet that relied heavily on grains as well as vegetables, fruits, and legumes. 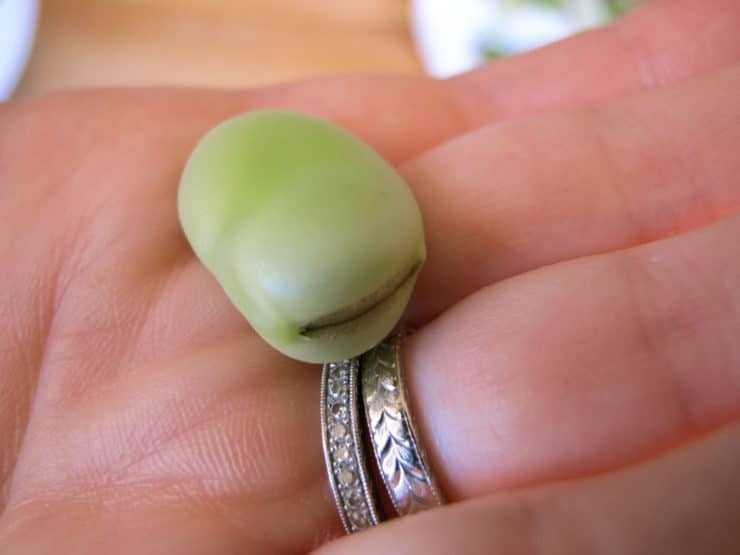 One of most popular legumes in ancient Israel was the “broad bean,” or what we refer to today as the fava bean. In fact, a method for cooking fava beans is actually discussed in the Talmud. The beans were immersed in a pot of water, sealed, then buried beneath hot coals so they could slowly cook. 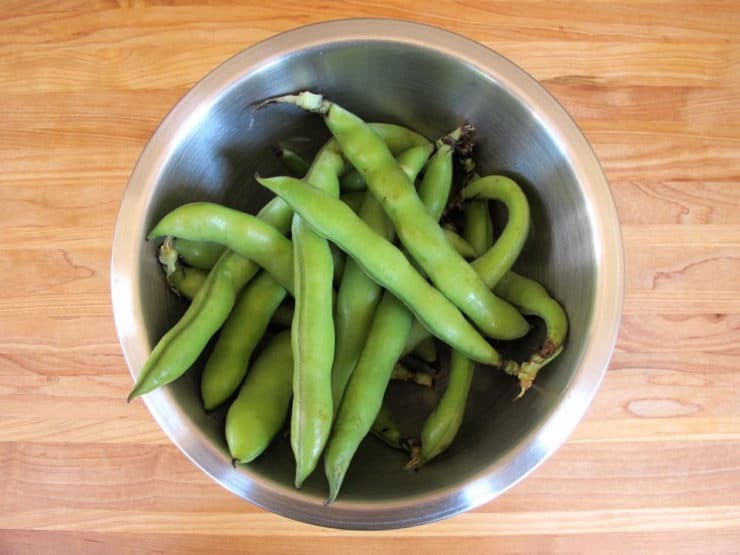 Today, due to their short season, fava beans are most often dried or canned for use throughout the year. 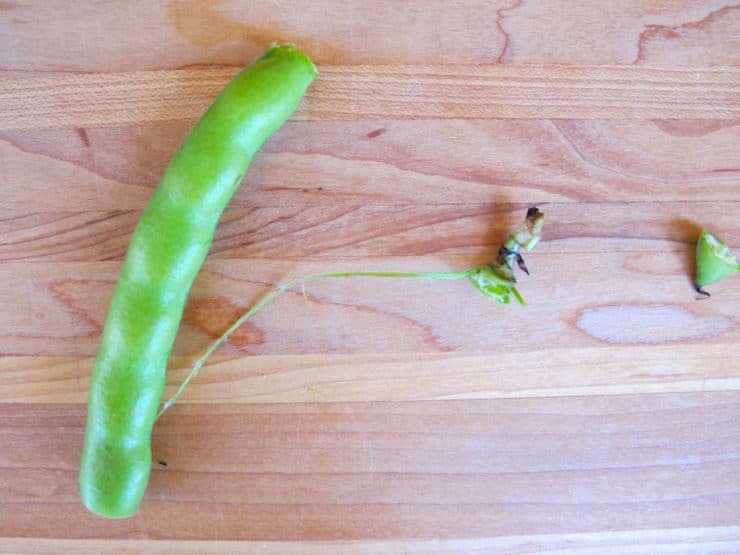 Fava beans are only available fresh during spring, when they can be found at some grocery stores, farmer’s markets and Middle Eastern markets. So far I have managed to find them at an upscale grocery store near my home and our local kosher market– the ones at the kosher market weren’t very fresh, though. 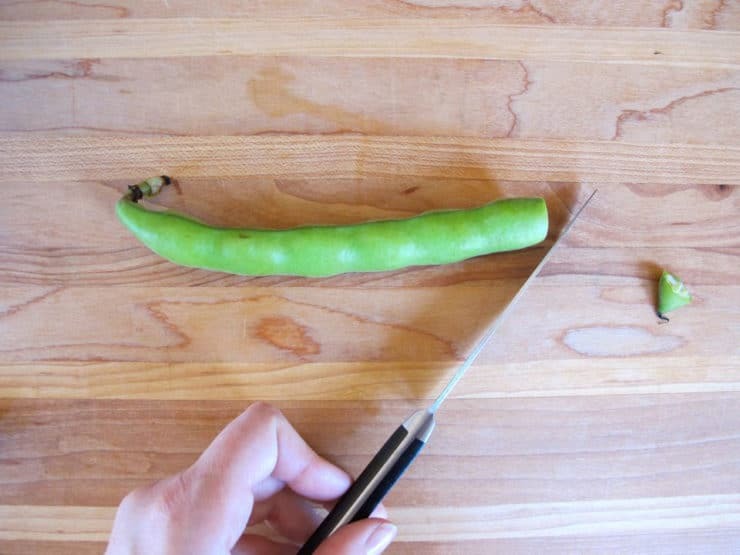 It’s important to look for a few things when choosing fresh fava beans. You want beans that are medium-sized– not too big or too small, averaging around 6-8 inches in length. The shells should feel slightly firm to the touch, not soft or rubbery. They should be bright to light green in color. A little discoloration on the shell is okay, but avoid beans that are heavily blemished or that have large patches of grey/black on them. If the beans are too large, old or unfresh, they will take longer to cook and they won’t taste as good in the finished product. If you’re having trouble locating a nice batch of fava beans, there are two subs you can use here. Frozen lima beans work well with the lamb; though smaller, the shelled bean’s flavor is somewhat comparable to the fava. 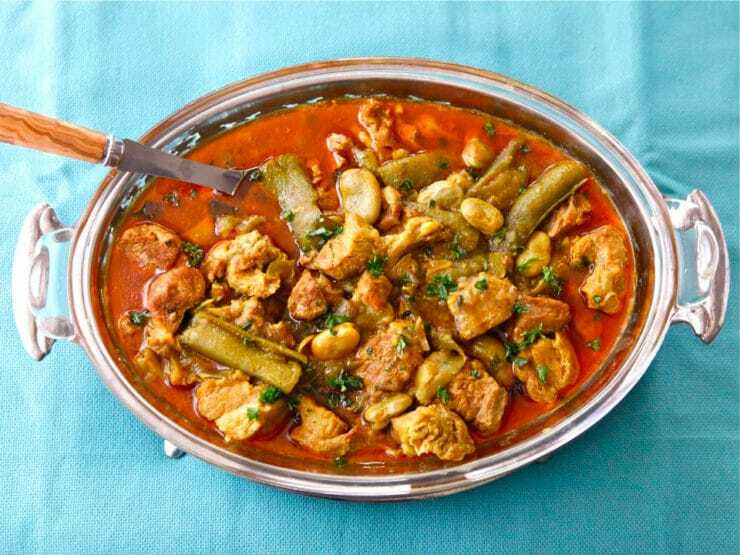 Young and tender green beans, while they do not have the same flavor as favas, will also cook up nicely in this dish. Both of these subs take less time to cook than fava beans, so I recommend adding them about 20 minutes before the end of cooking. You should cook till the beans are very tender but not overly mushy. In this dish, we usually keep the bean shells intact and throw them into the stew. 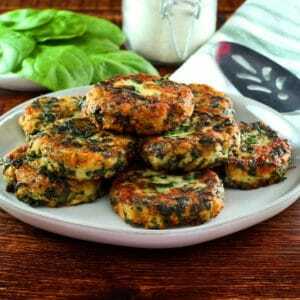 They add fiber and cook up very tender, soaking up the spices and lamb flavor. Keep in mind that fava shells can be somewhat stringy on the edges, even if you string them prior to cooking. To avoid this, you can simply discard the shells prior to cooking and throw the shelled fava beans into the stew. Either way, it’s a very special dish and something we look forward to every spring. Tender lamb and fresh fava beans slowly cooked with Middle Eastern spices for a unique and tasty stew. Easy recipe with step-by-step photos. Heat olive oil in a 6 quart stock pot over medium till hot. Add minced onion and saute for a few minutes till it softens and begins to brown. 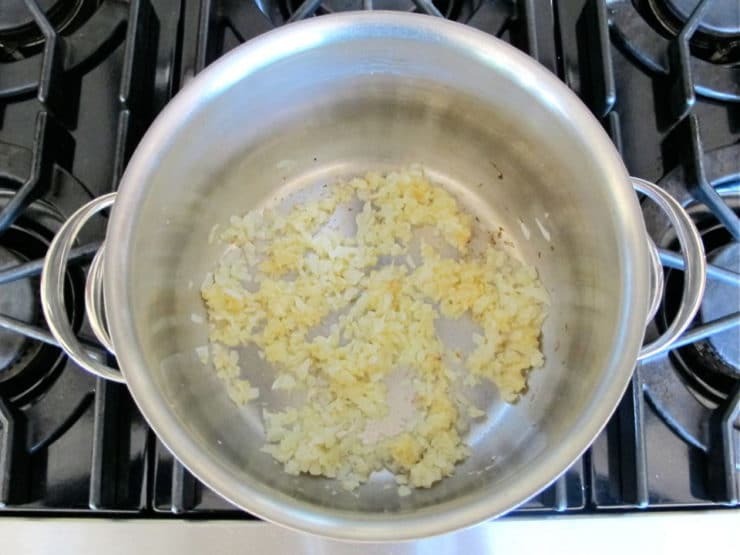 Add the garlic and continue to saute for 2 minutes longer till fragrant. Add the lamb stew meat and saute for a few minutes, stirring and turning the meat periodically, till the meat is browned on all sides. Scrape up the brown bits from the bottom and sides of the pan as you cook. If you've chosen a fattier cut of lamb, you might find yourself with a lot of excess fat at the bottom of the pan. If you'd like, you can drain the fat from the meat through a mesh strainer at this point, then return any meat, onions and brown bits back to the pan before proceeding. 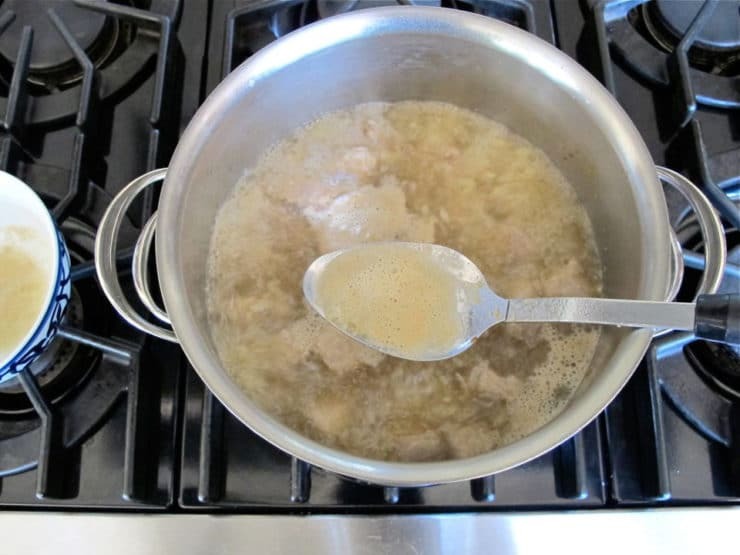 Pour 1 quart chicken broth and 2 cups water into the pot and bring it to a simmer. Skim any foam that rises to the top and discard. Stir in the turmeric, smoked paprika, and cayenne. Add 1/4 tsp salt (if you're salt sensitive, you can omit this and simply salt to taste at the end of cooking). Reduce the stew to a low simmer. 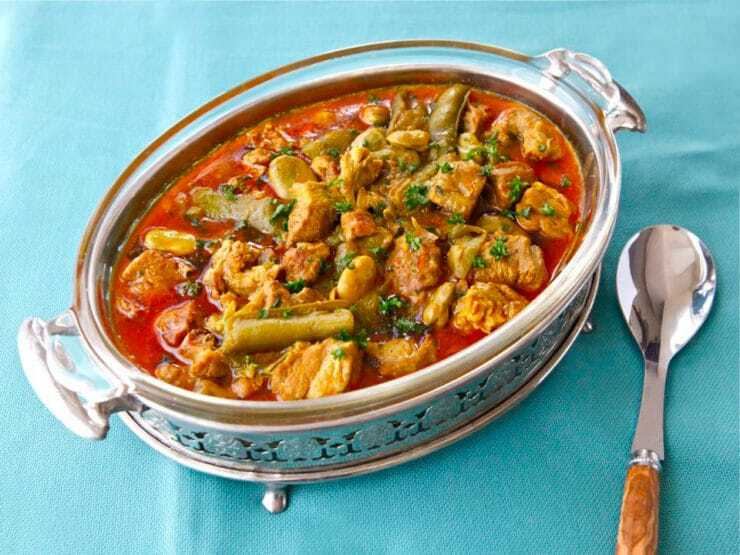 Cover the pot with a lid, vent it, and let it cook for 1 hour, stirring once or twice during cooking. Meanwhile, prepare your fava beans. You want beans that are medium-sized-- not too big or too small, averaging around 6-8 inches in length. The shells should feel slightly firm to the touch, not soft or rubbery. They should be bright to light green in color. A little discoloration on the shell is okay, but avoid beans that are heavily blemished or that have large patches of grey/black on them. Slice the bottom tip off of each bean. Then, hold the stem end, snap it off, and pull it downward to "unzip" the bean, removing the string(s). During this process, some beans may start to fall apart-- that's ok, they will fall apart in the stew anyway. Slice the beans into 2-3 inch pieces. Reserve. Alternatively, you can shell the beans completely and discard the shells. When the meat has cooked for 1 hour, open the pot. Stir in the fava beans and bring back to a simmer. Cover the pot again, vented, and cook for 15 more minutes. Uncover the pot and continue to simmer till the beans are tender. This could take anywhere from 15-30 more minutes depending on the age and freshness of the beans. As you cook, season the stew with salt and pepper to taste. When the beans are tender, mix together 1 tbsp cornstarch and 2 tbsp of cold water in a small bowl till smooth. Stir the cornstarch mixture into the stew and let it simmer for 2-3 more minutes till it thickens. Remove the stew from heat. 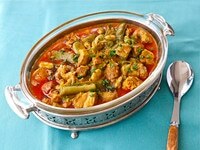 Serve hot over freshly cooked couscous, rice or quinoa (for gluten free use rice or quinoa). You can also serve it on its own for a low-carb meal. I have been growing Broad beans and had toooooo many, so gave some to a Greek neighbour. She told me about a stew her grandmother made with the beans. Low and behold a little research and I have come across your recipe. It will be done on Monday. delicious but, how about some za’atat? How could I alter the recipe to use dried fava beans? Thanks for any help. Hi Billy, I don’t recommend using dried fava beans in this recipe. If you can manage to cook them until tender (I’ve found them pretty difficult to tenderize), you could add the cooked favas towards the end of the recipe, but I can’t promise the flavor will be as good. Thank you! I have them soaking overnight. Hopefully I’ll be able to successfully incorporate them into this stew. i want to make borekas-i have your recipe. 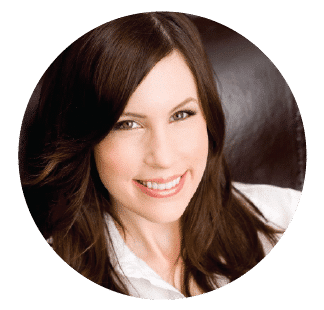 have a daughter who has celiac disease. can i make them with chinese rice wraps? I have never tried them with rice wraps so I couldn’t say if it will work or not. If you try it please report back and let us know how it worked for you! Thank you so much for this recipe. My grandmother did not believe in sharing her recipes so I have to cook from memory or find recipes like this. I printed the recipe. The directions say to add 1 quart of chicken broth, PLUS 2 cups boiled water. The ingredients didn’t list the water, was that an omission? Hi there– in standard American recipe format, water is not usually included in the ingredient list; it is assumed that everybody has water in their kitchen. The only exception would be if the water needs to be changed in some way– heated, chilled, etc.– that would help to know in advance for prepping the recipe. 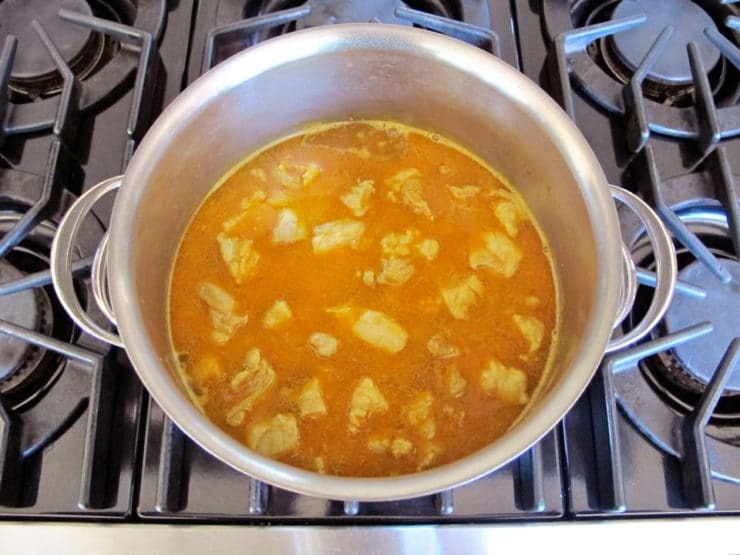 The water added to this recipe does not need to be boiled first, it is simply 2 cups of water added along with the broth, which is then brought to a boil on the stovetop. Hope that helps! When I think about fava beans all I see is Hannibal Lector. I understand that falafel can be made with fava beans too. I thought that one had to shell fava beans! I am so excited that you’ve told me different. Thanks to you Tori I will be enjoying favas more often! Adoro cordeiro!!! Vou preparar essa receita com favas. I love horror movies and yet to this day Silence of the Lambs gives me the willies. What a beautiful dish! 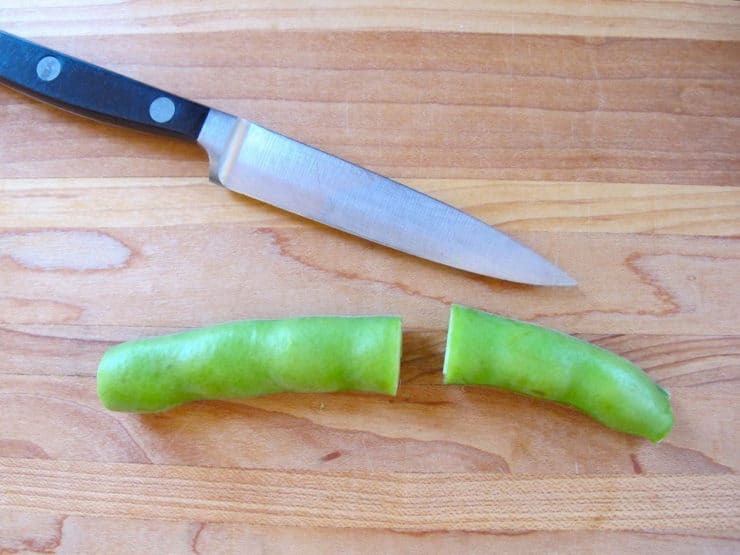 I need to head to the farmer’s market to see if I can find some favas. 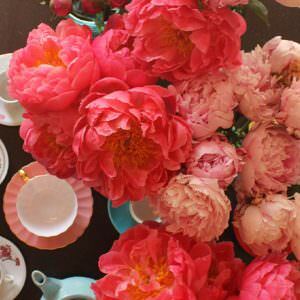 They are always such a wonderful treat when spring rolls around. OK then I will get some from the middle east store I frequent. They keep a big box of them. They are pretty beans. Fava beans are good for you if you have Parkinson´s. A good source of natural dopamine! Do not eat fava beans if you have g6pd deficiency!!!! That looks and sounds fabulous! We have a neighbor who grows and sells them and I’ve run out of ways to prepare them! This will be my next fava dish! BTW…have you used the mashed beans to make falafel? Lol jes I was just wonderin how to spell chianti. I will have to make this one soon! I was thinking the very same thing Jeff. Love this one, Tori! 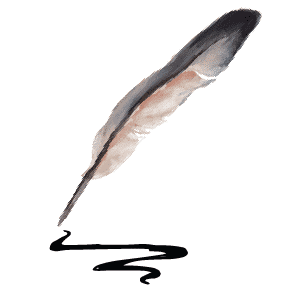 Wishing you a wonderful long weekend! I love fava beans! I cook them in olive oil with onions and garlic and serve the dish with fresh dill! Thanks to Dr. Hannibal Lector, I could never eat them.